If the church wishes to converse effectively with a culture, it must learn the culture's language. Today, shifts in technology mean that language is increasingly one of symbols and metaphors, stories and images-not words. So what does this mean for the sermon, that long-standing, word-based tradition of Christianity? 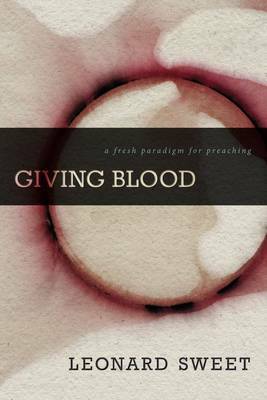 In this ground-breaking resource, bestselling author Leonard Sweet offers an alternative to traditional models of preaching, one that is fitting to a new culture and a new mode of thinking. The first book of its kind to move preaching beyond its pulpit-centric fixation and toward more interactive, participatory modes of communication, Sweet presents both a challenge and a path forward for a church struggling to maintain its relevance in a post-modern, media-saturated culture.